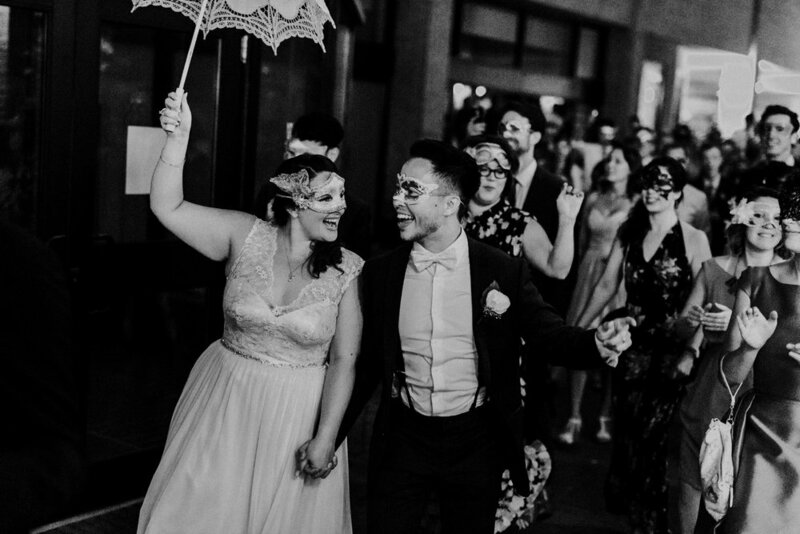 When I first met Alexandra and Ian over coffee, I noticed that they were two extroverted individuals that love deeply, stand up for justice and equality (they are active members and supporters in the LGBTQ community), and enjoy being playful and having fun. 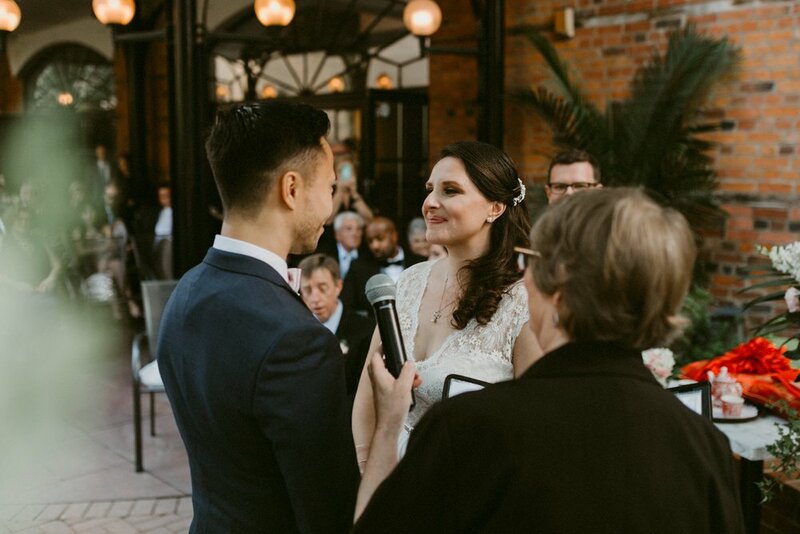 I think meeting couples beforehand is important because you get a sense of what’s important to them which gives me a great foundation for how I will capture their wedding day. 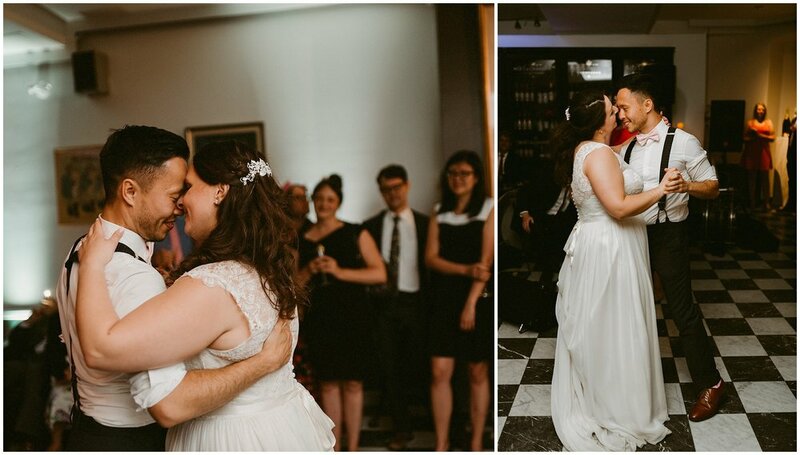 With Alexandra and Ian, I wanted to capture their energetic & outgoing personalities, but also their deep emotional side. 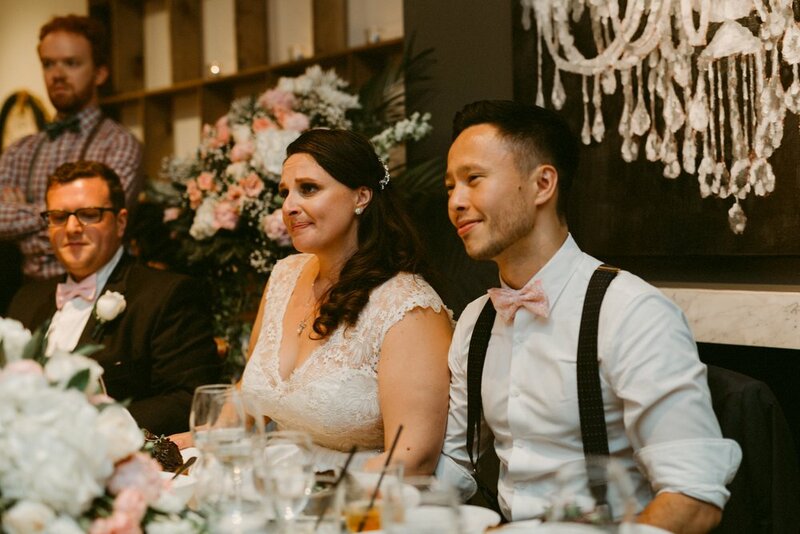 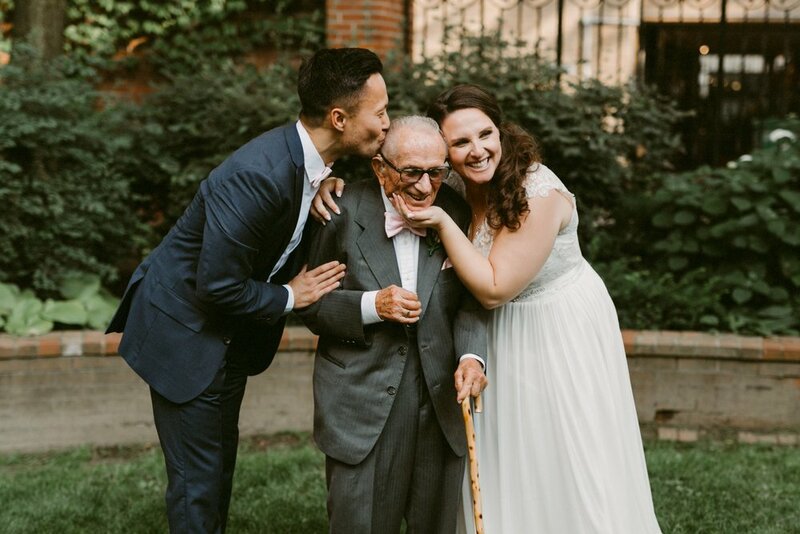 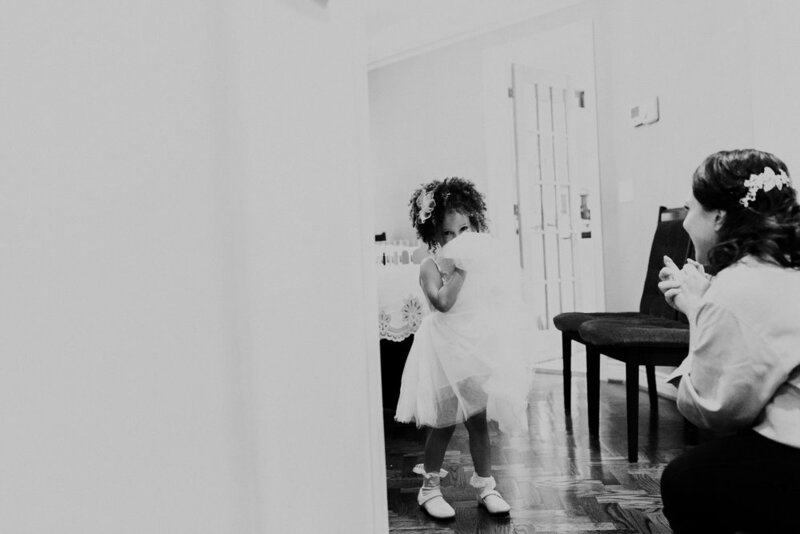 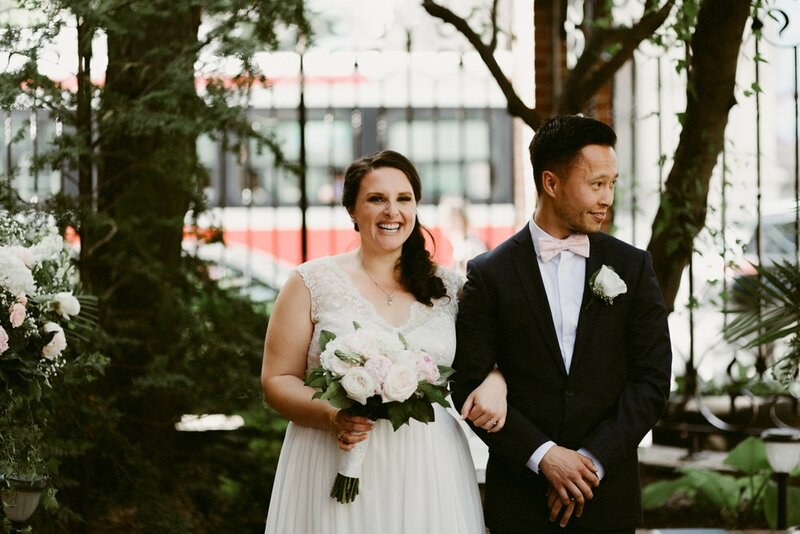 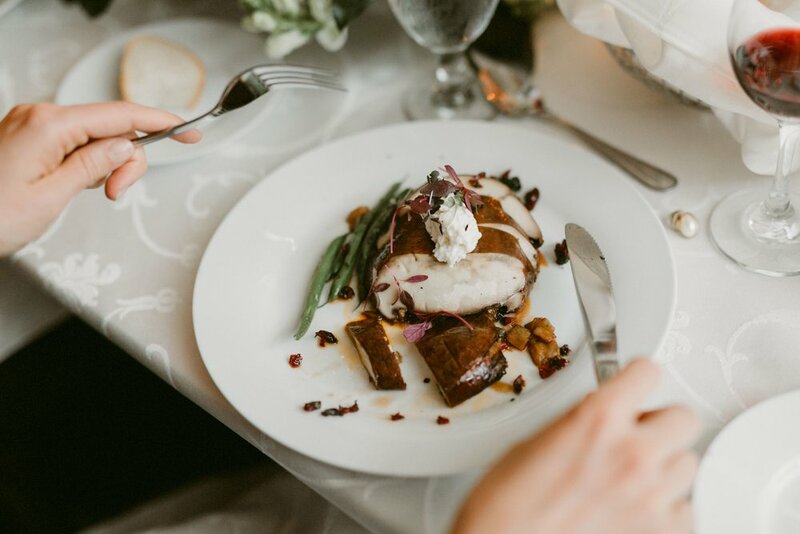 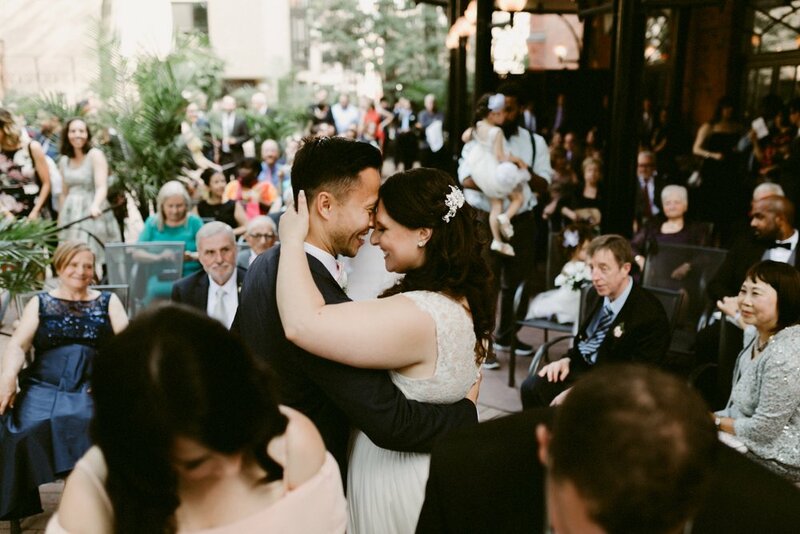 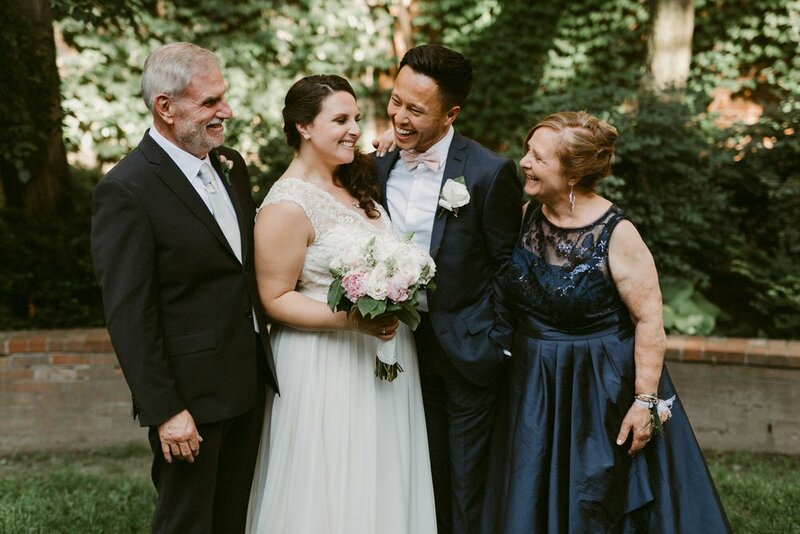 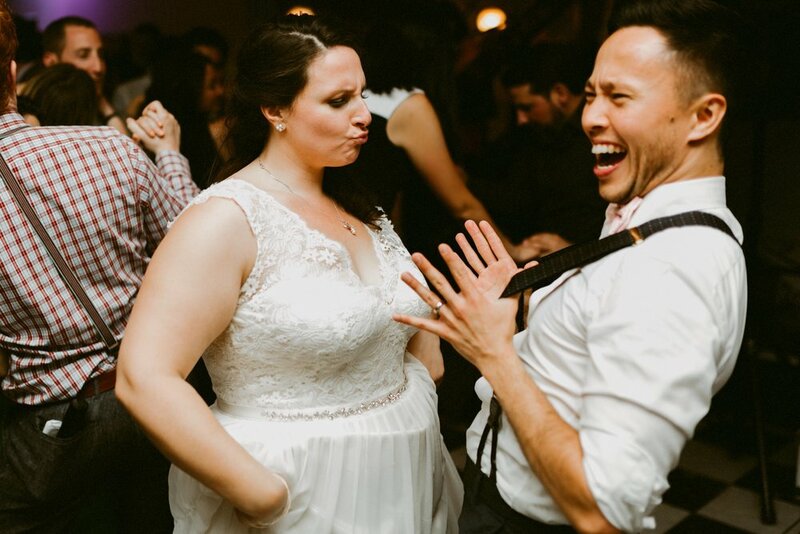 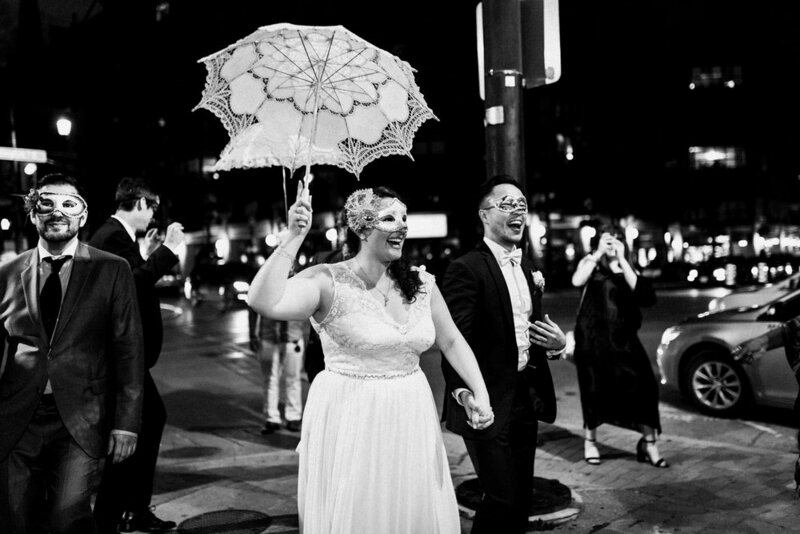 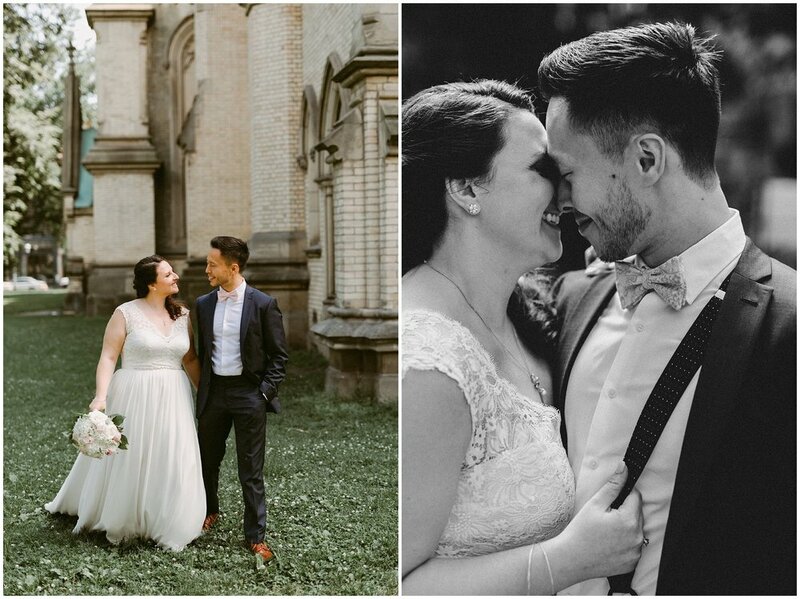 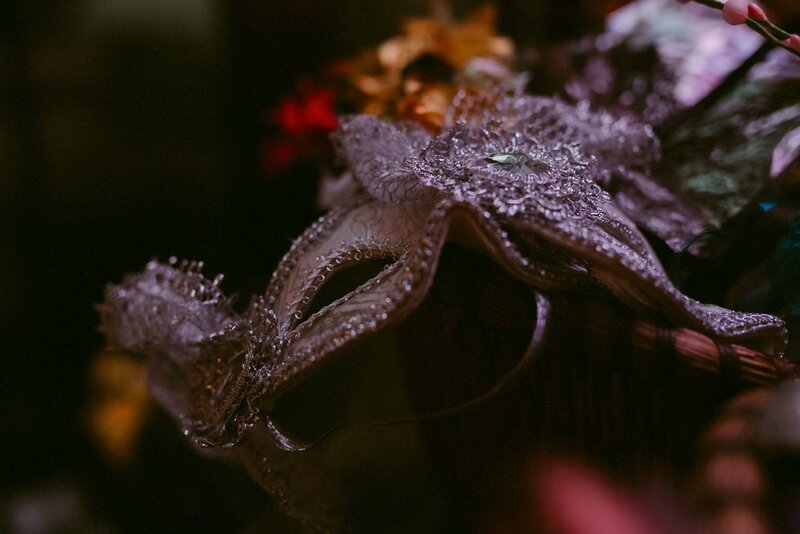 Alexandra & Ian's Wedding was full of heart. 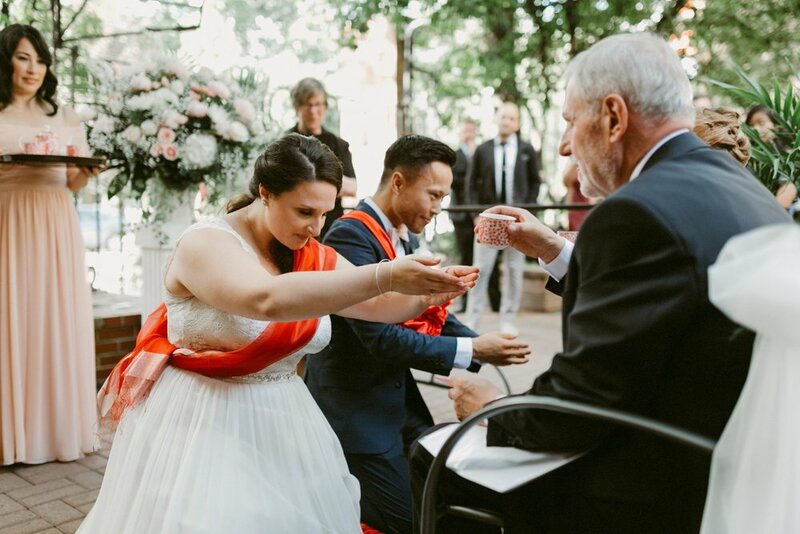 With Alexandra being a high school dance teacher, & Ian simply loving to dance, the day was filled with movement & fun between these two. 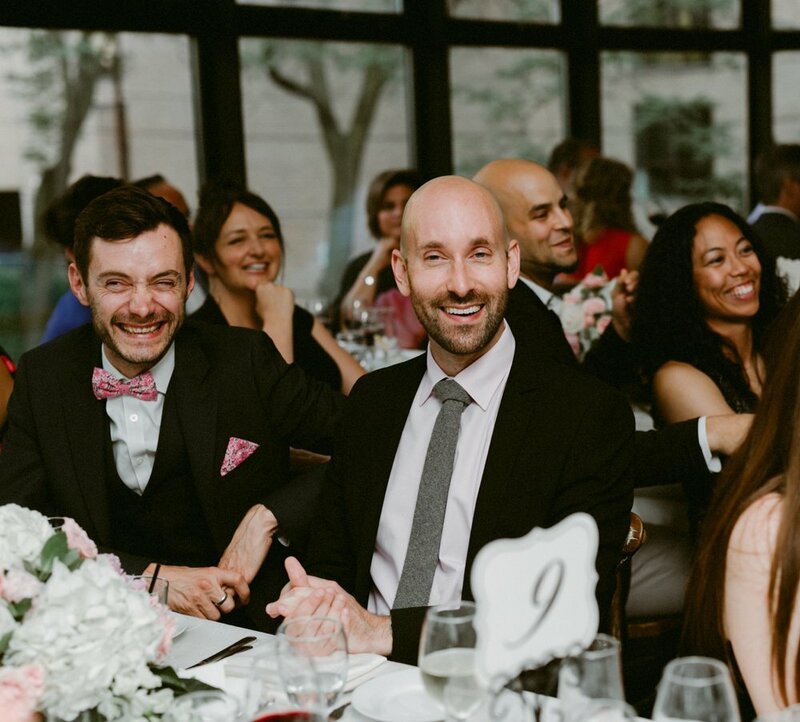 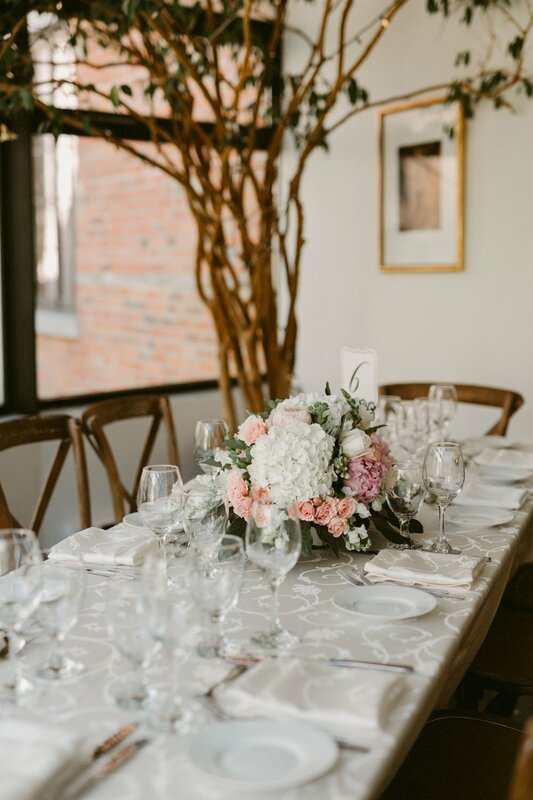 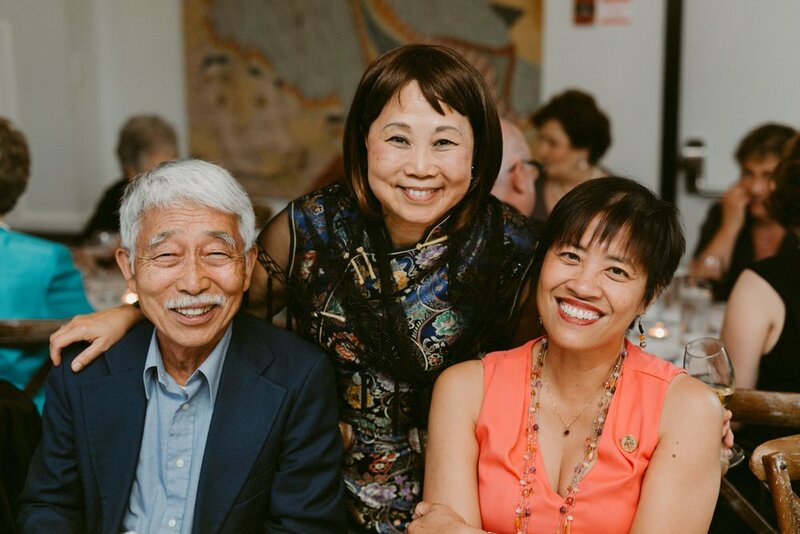 They had their ceremony & reception at La Maquette (one of my favorite venues in the city). 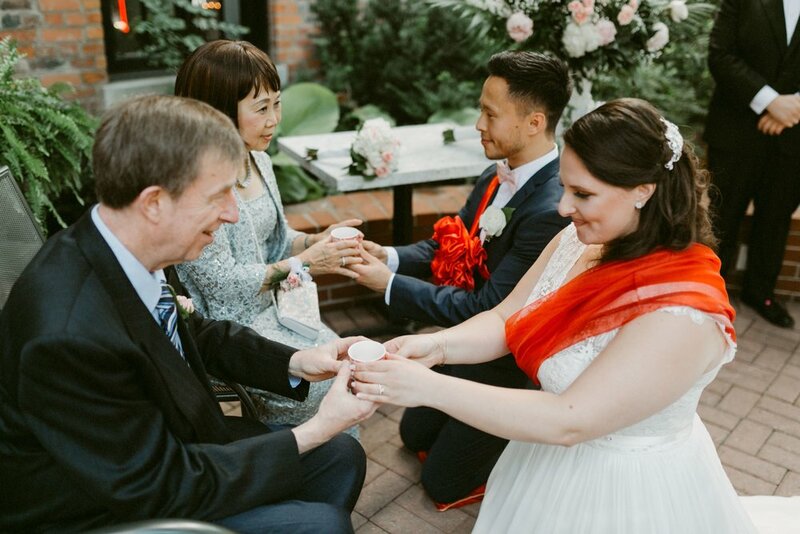 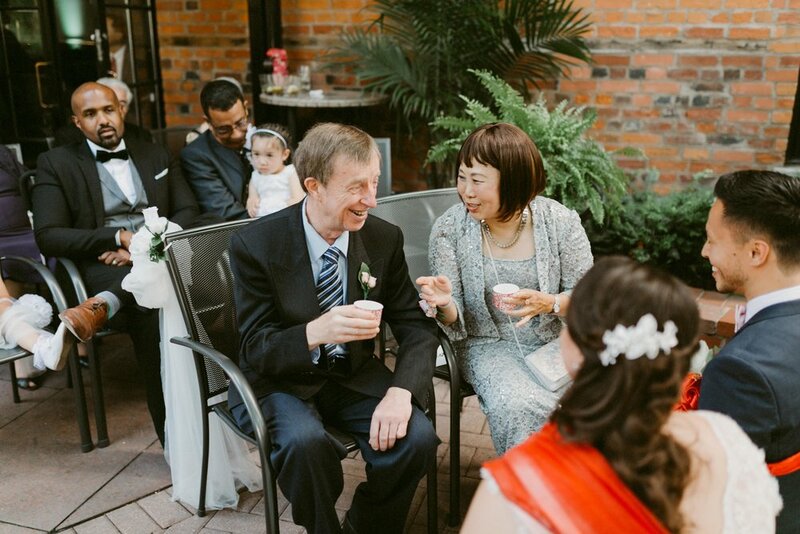 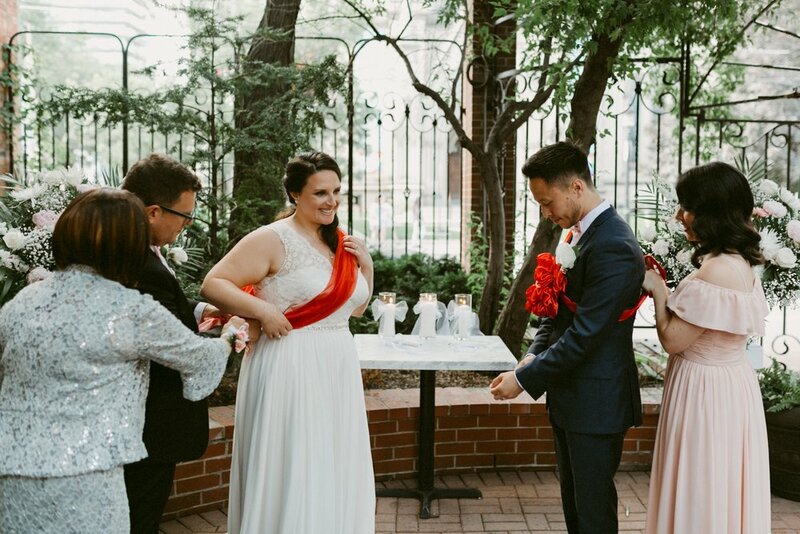 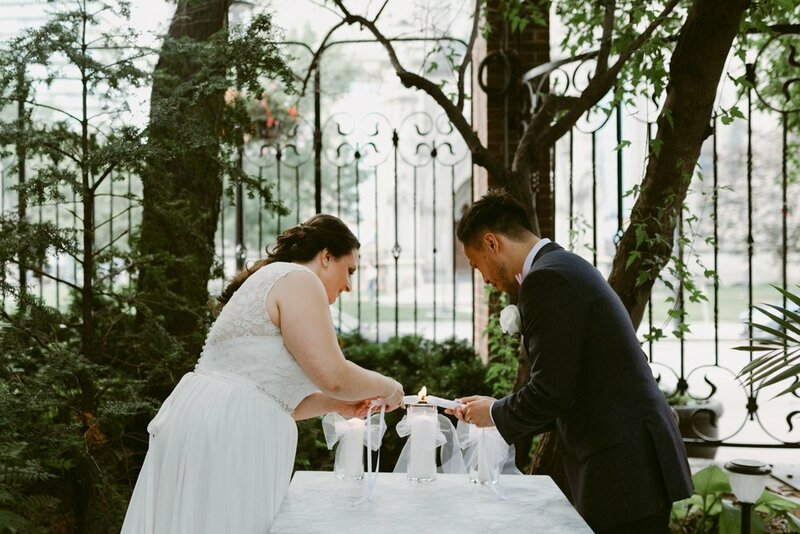 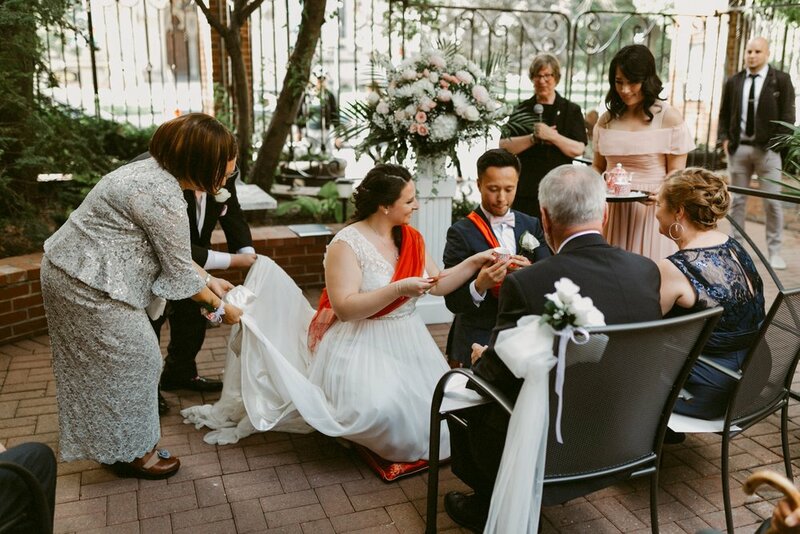 The Ceremony in the courtyard included a Chinese tea ceremony & a humanist ceremony. 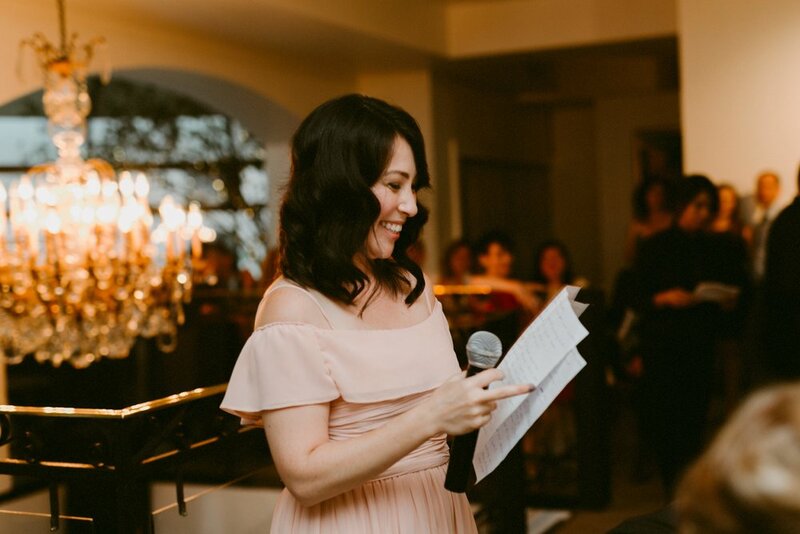 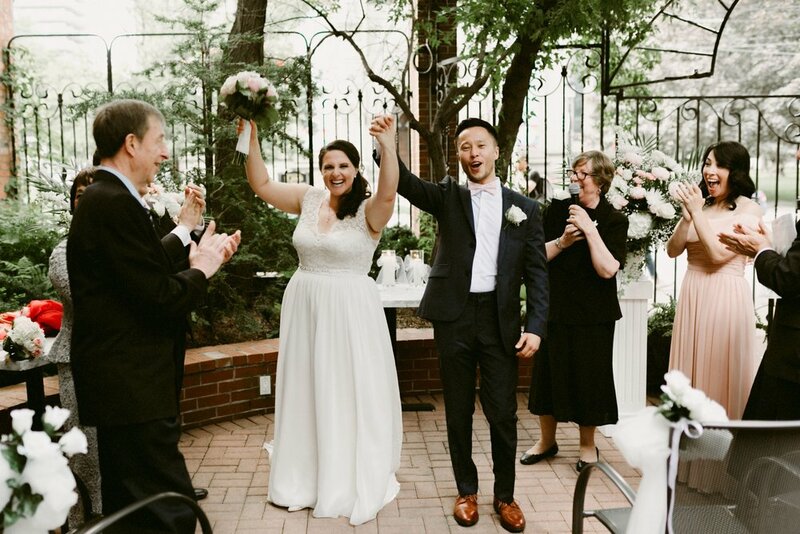 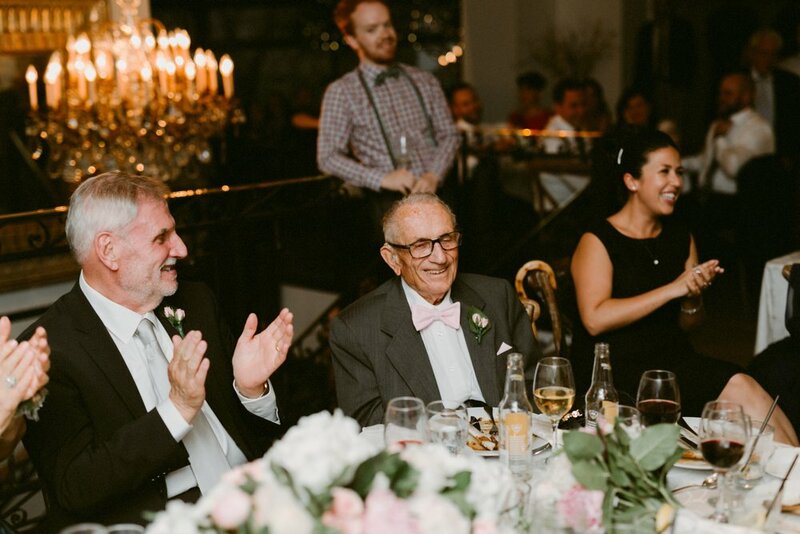 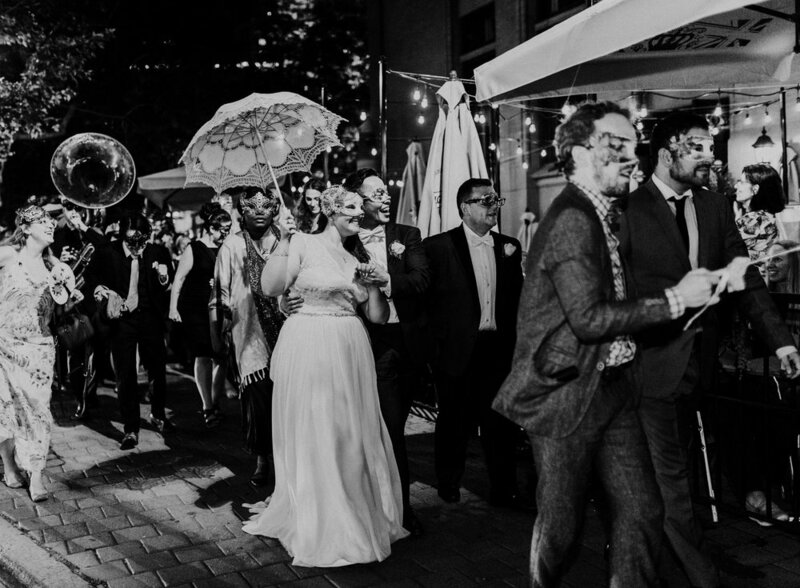 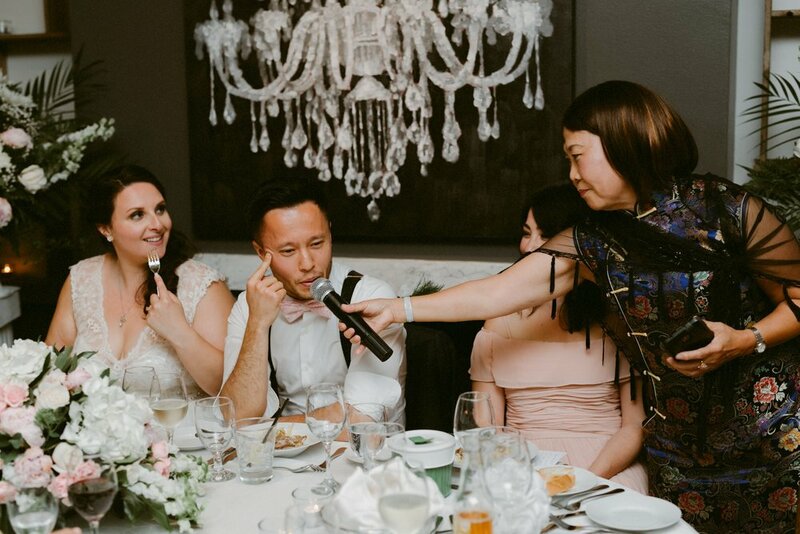 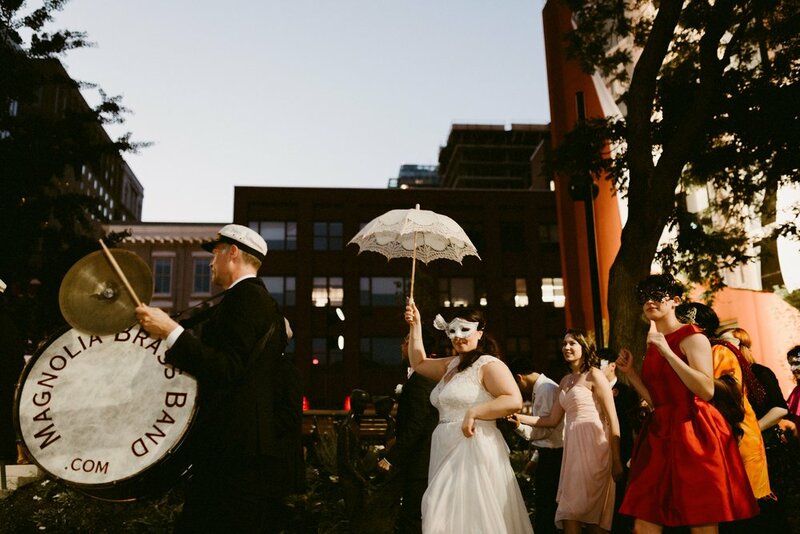 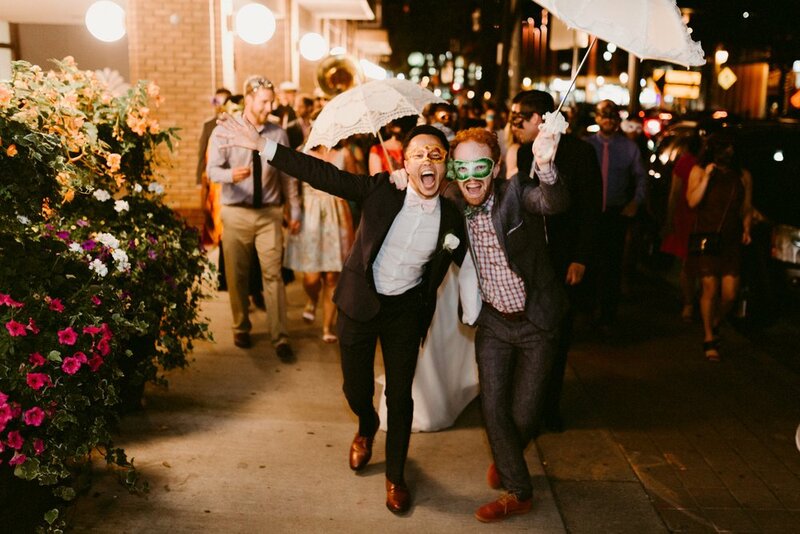 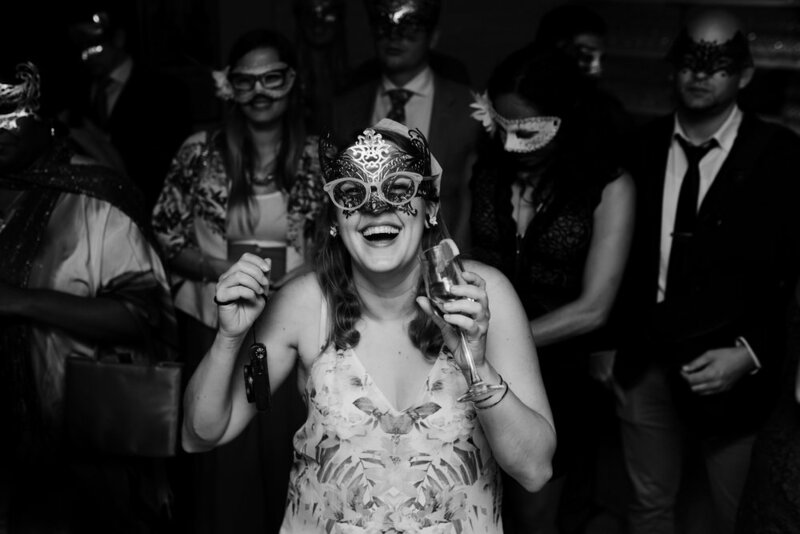 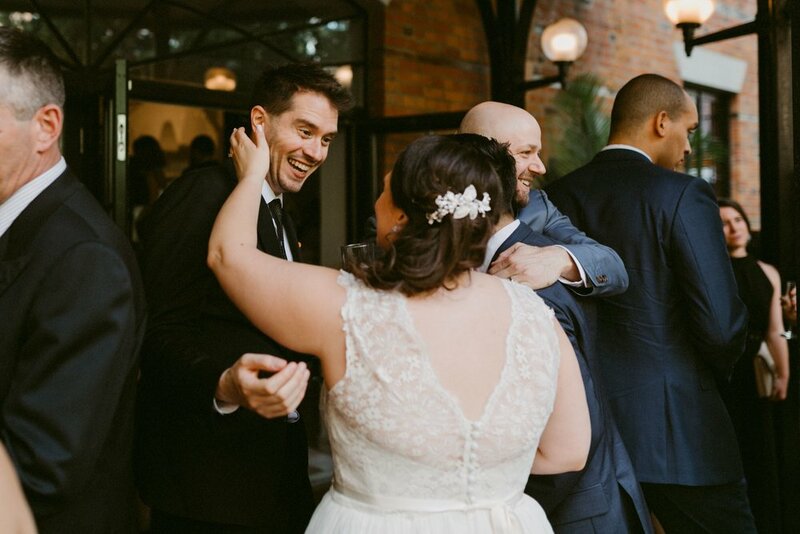 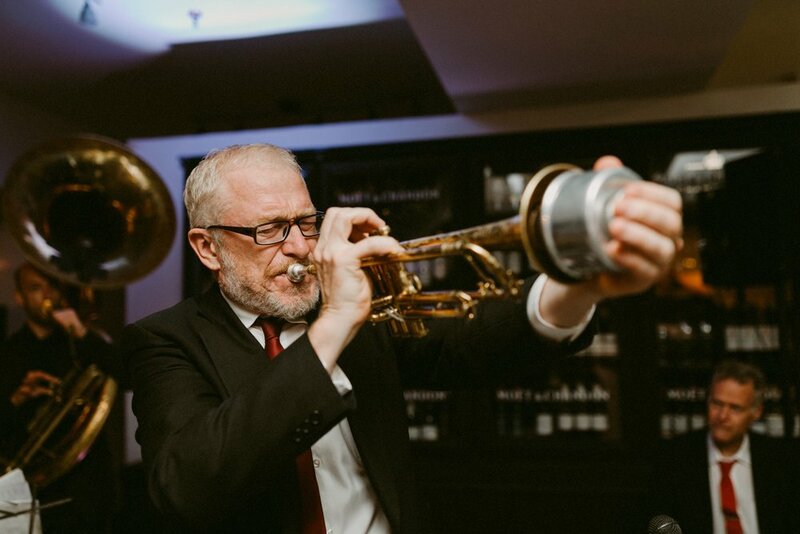 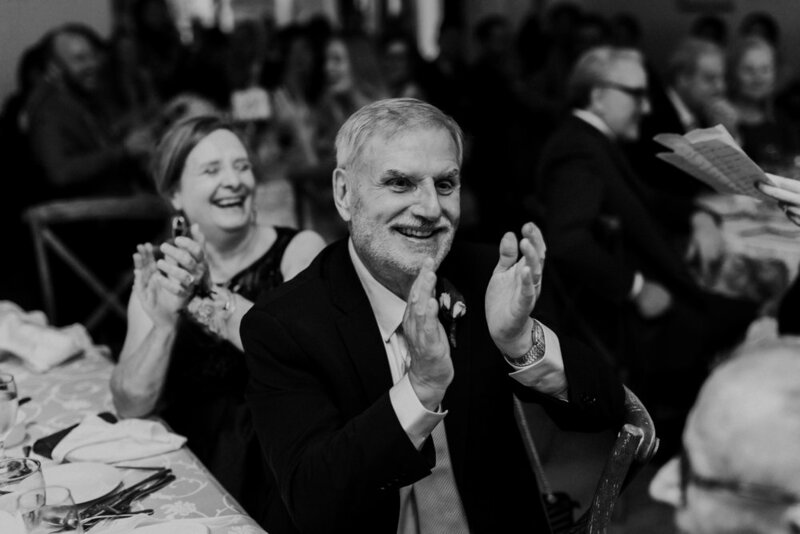 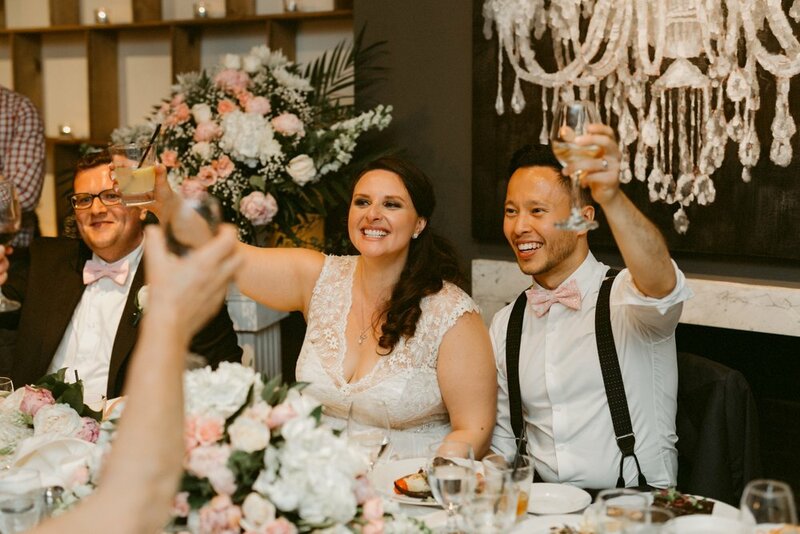 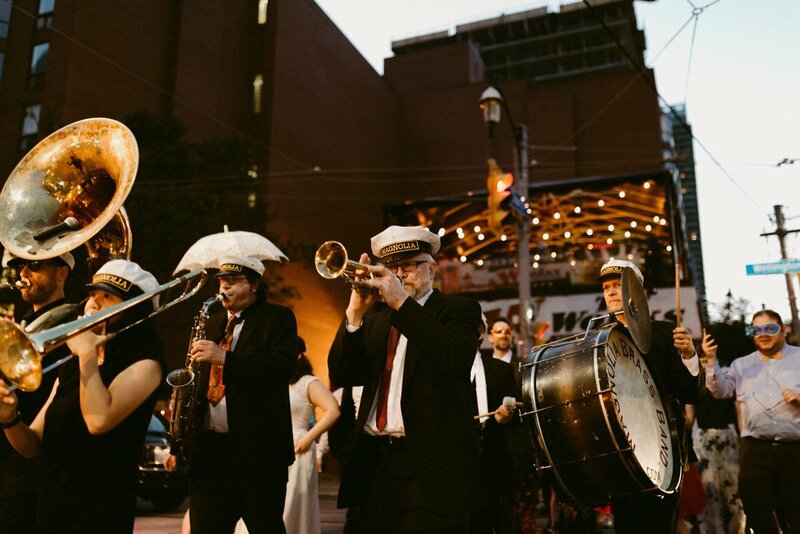 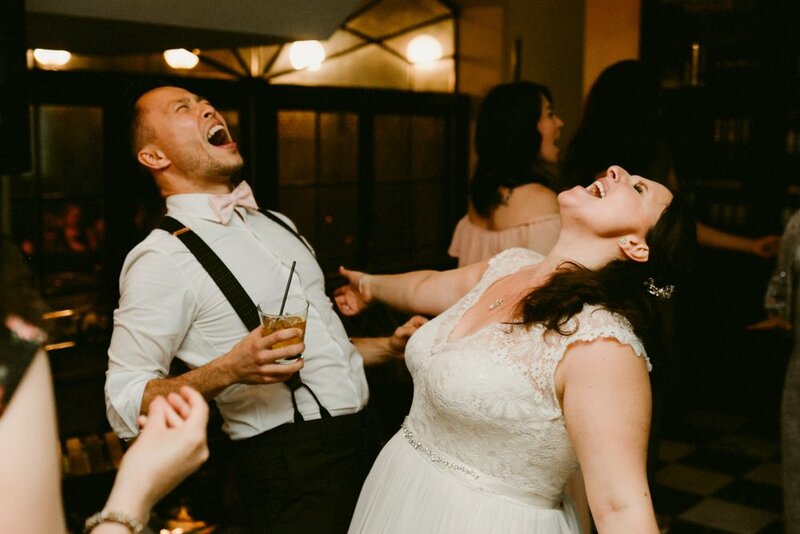 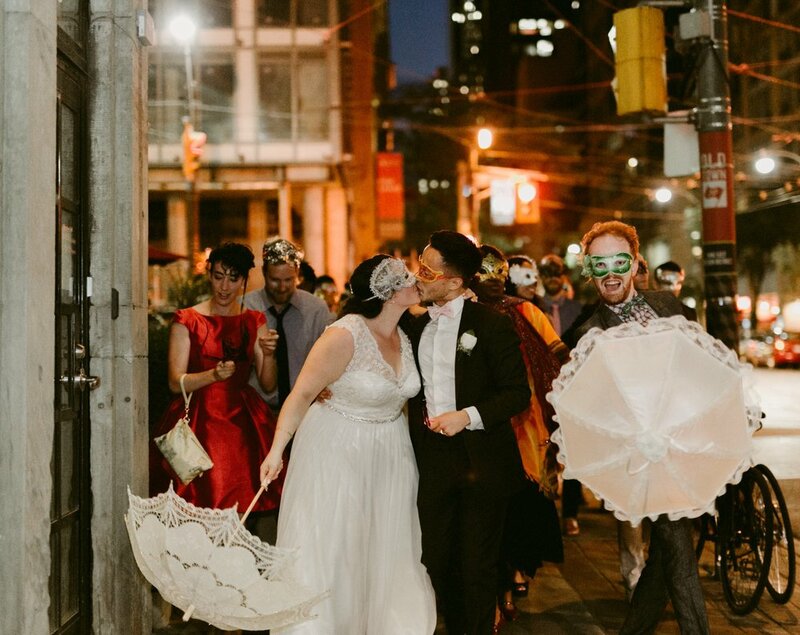 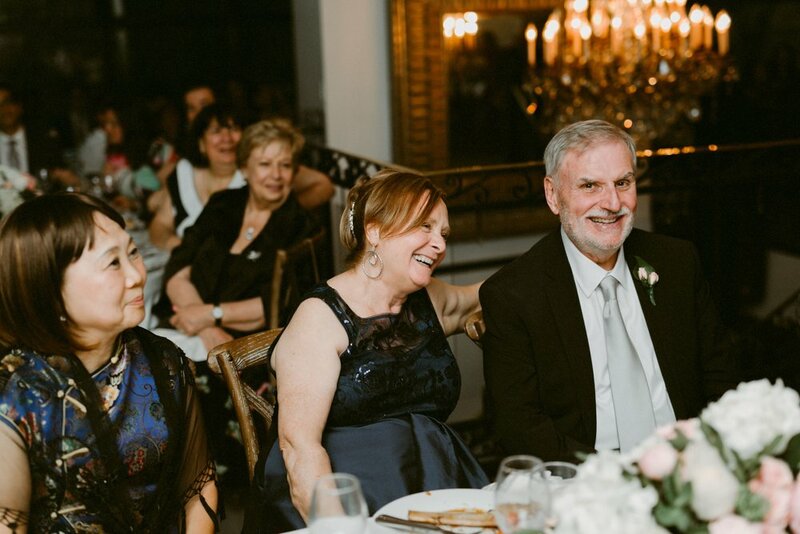 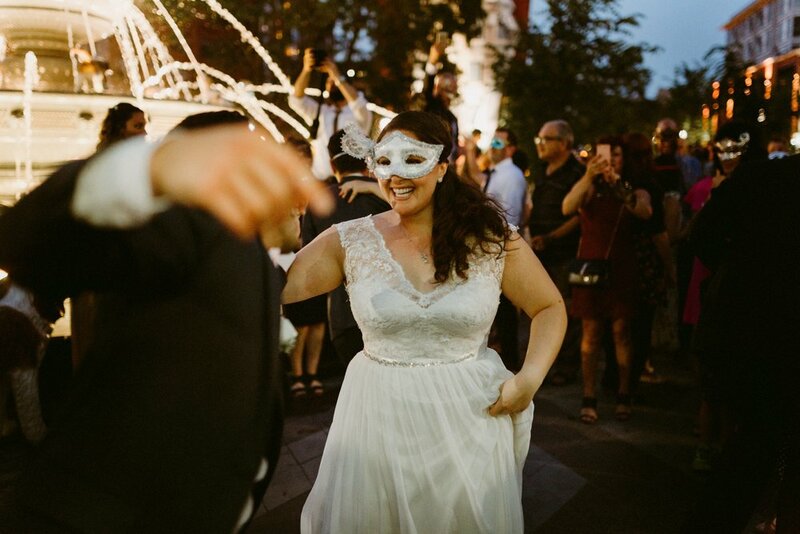 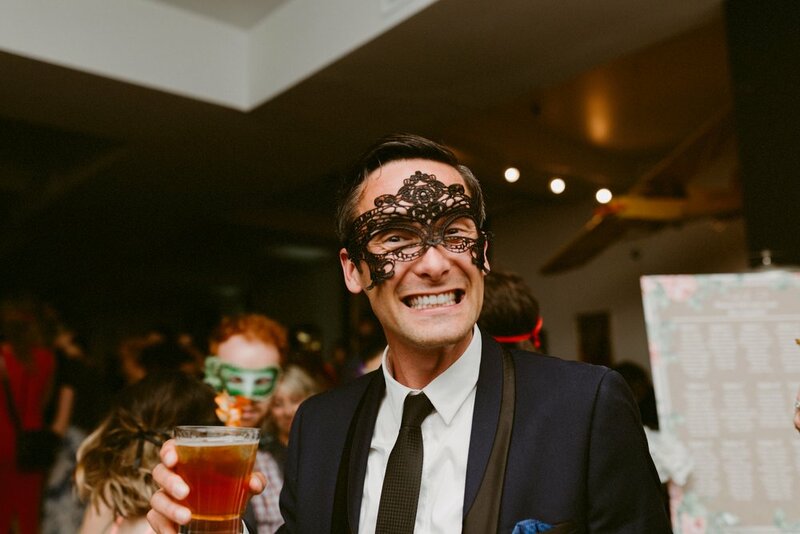 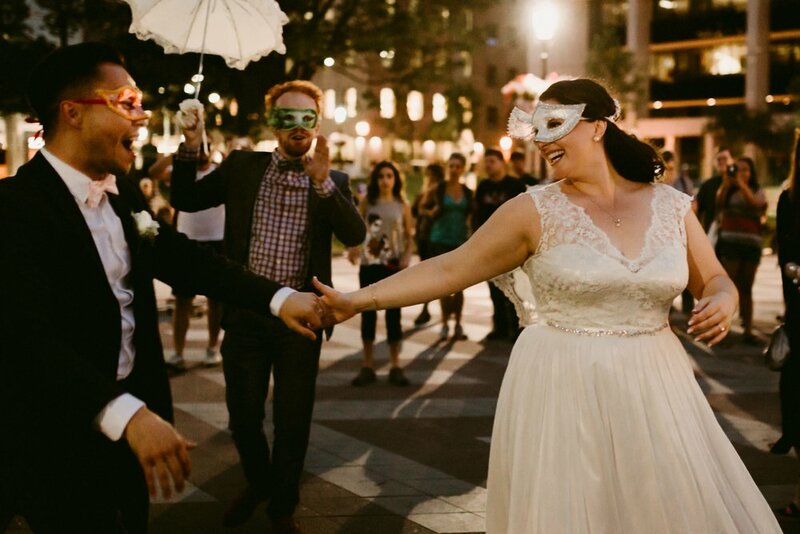 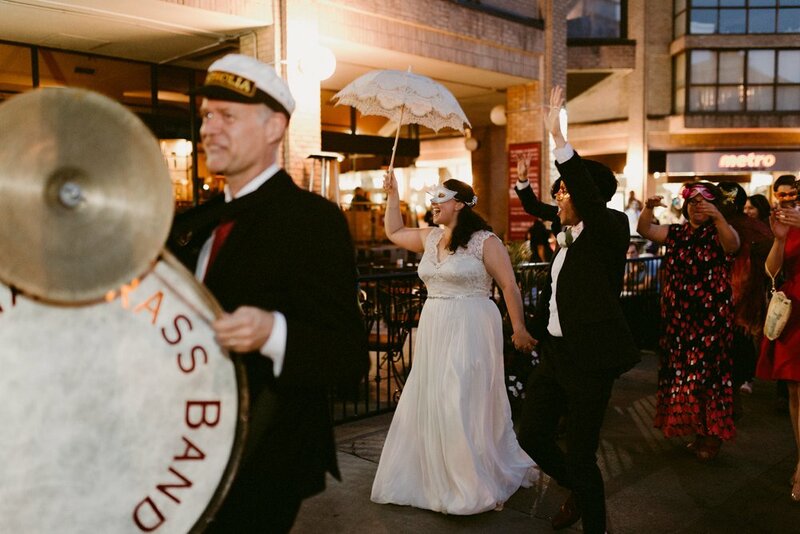 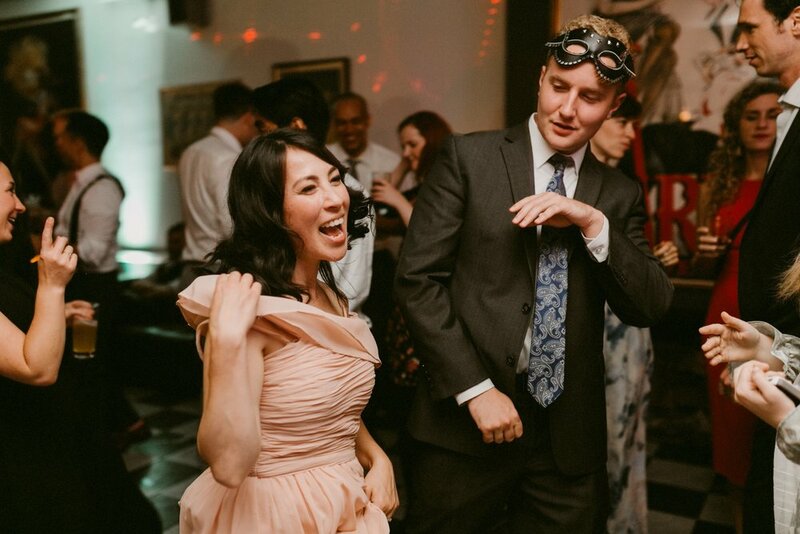 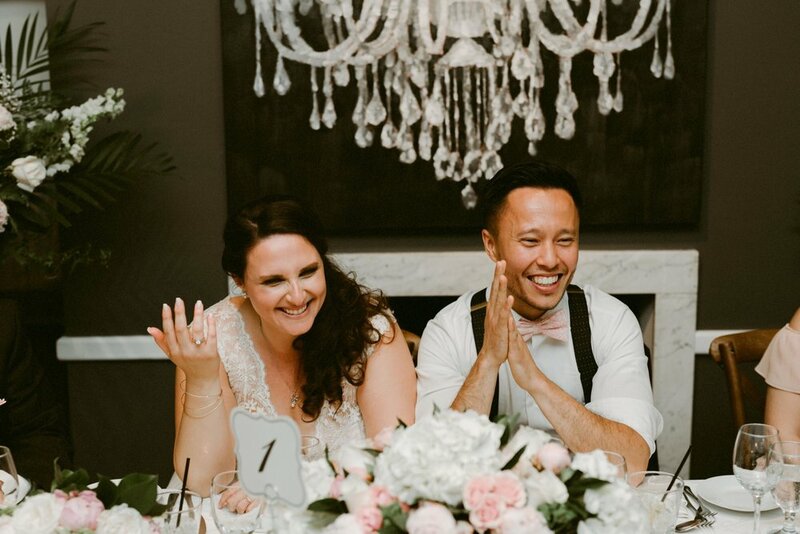 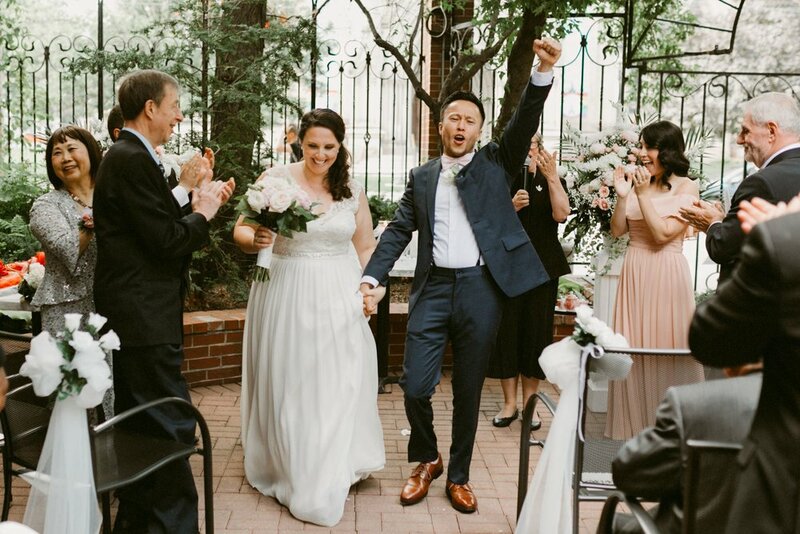 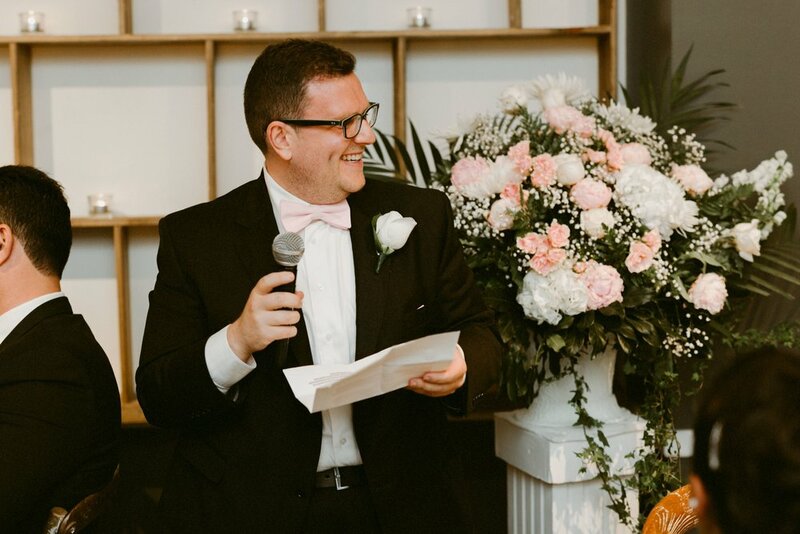 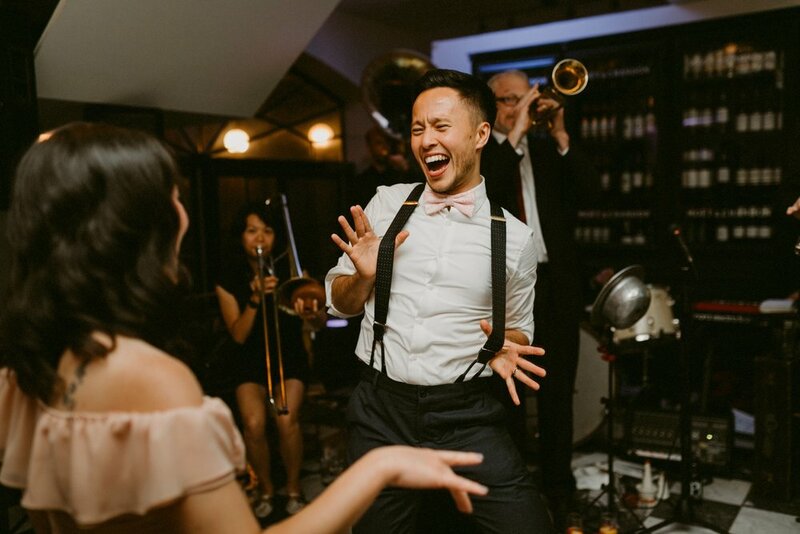 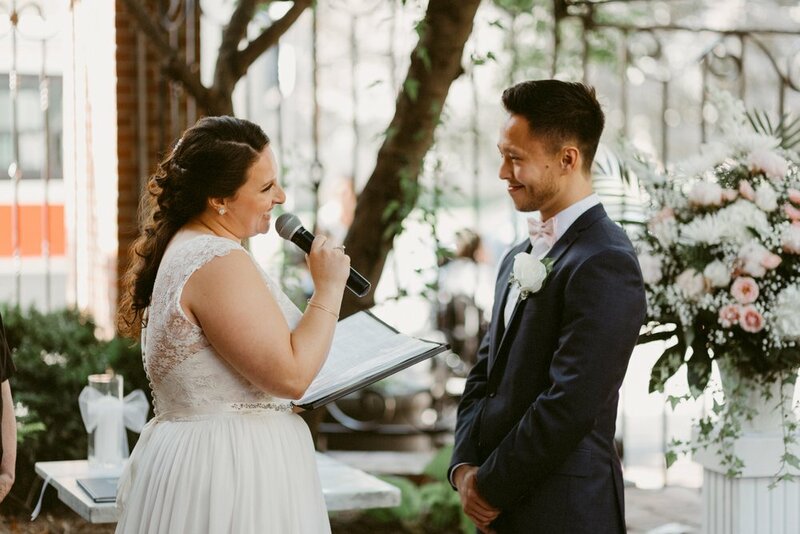 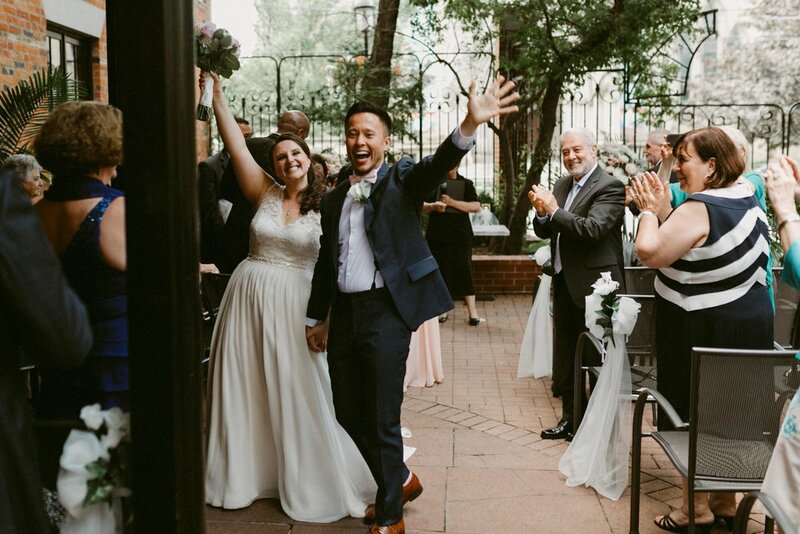 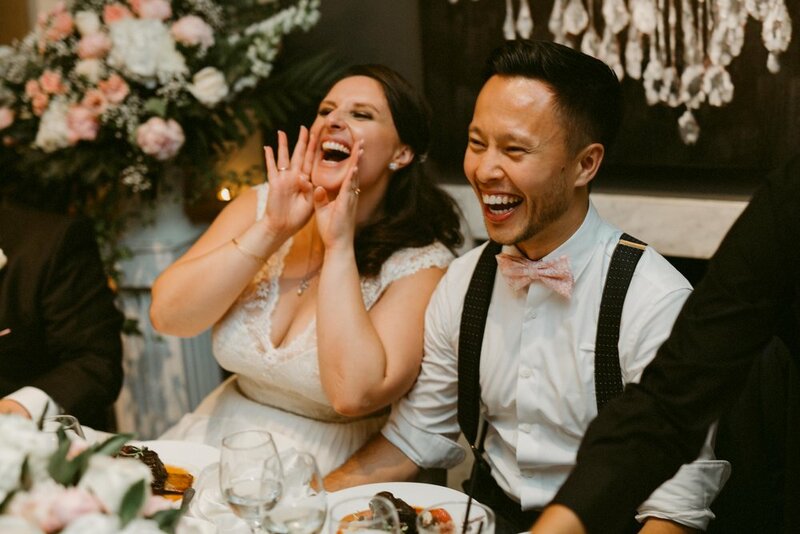 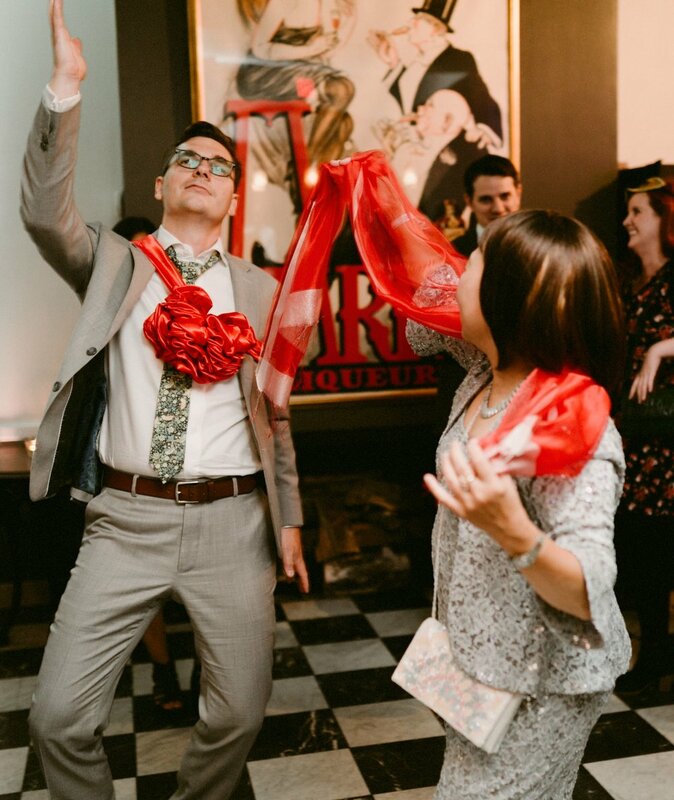 Alexandra & Ian also surprised their wedding guests with a New Orleans Style Brass Band; they both loved New Orleans when they visited & they wanted to bring a part of that celebration to their Wedding Day. 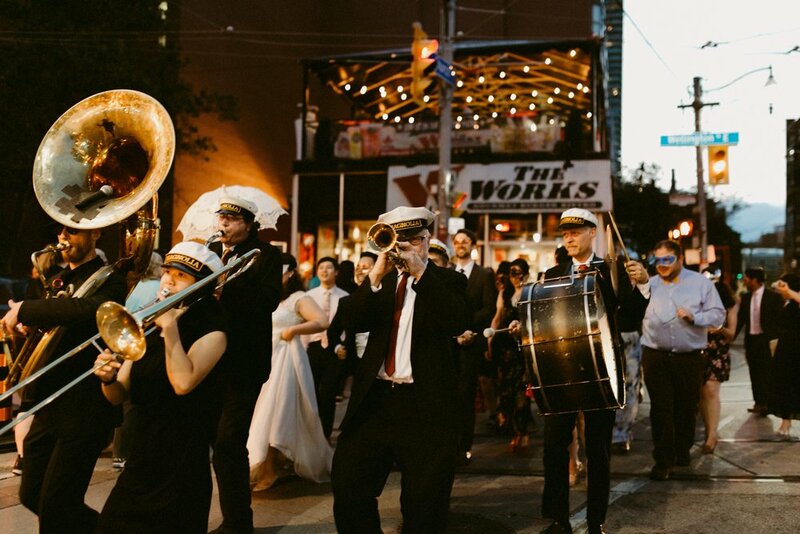 Everyone got accessorized & the band marched the streets of Toronto on a beautiful July evening. 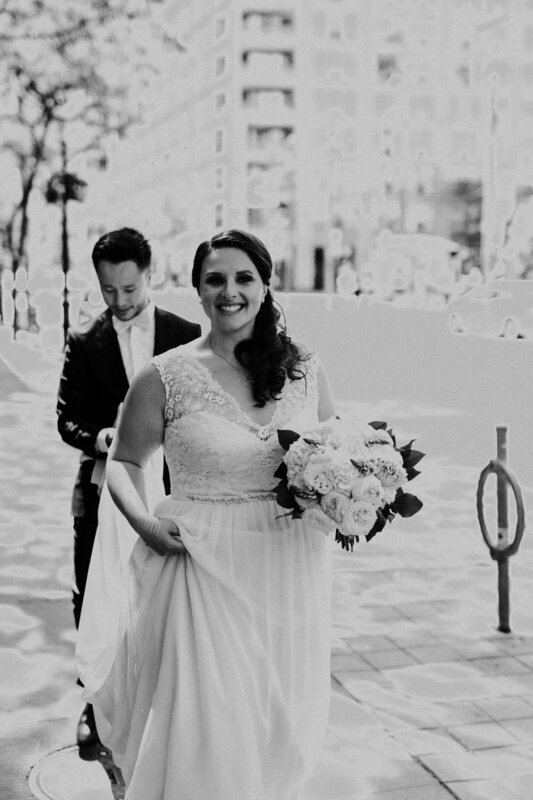 Below is a bit of their day I captured in photos along with some of the vendors they used for their day.